Our chapter attended the Braving the New World Conference held in Atlanta, GA on March 23, 2018. Did you meet one of our members? ​Congrats to our members graduating in May! 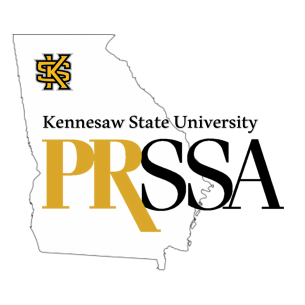 To help make your day PR-fect, pick up the PRSSA membership cord for only $12. Come by Dr. Pettigrew's office, SSB 5095, to get your cord. ​Are you looking for an internship? Check out our new Internships page ​under the Membership Info. tab.